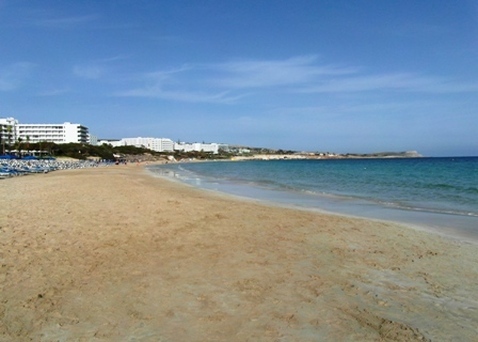 This beach is known by many names, including Limanaki Beach, town beach, Harbour beach and Grecian Bay. The official names for the 3 stretches of sand which make up the beach are Loukkas Tou manti, nearest the harbour. Pantachou in the centre and Glyki Nero (sweet water) furthest East. 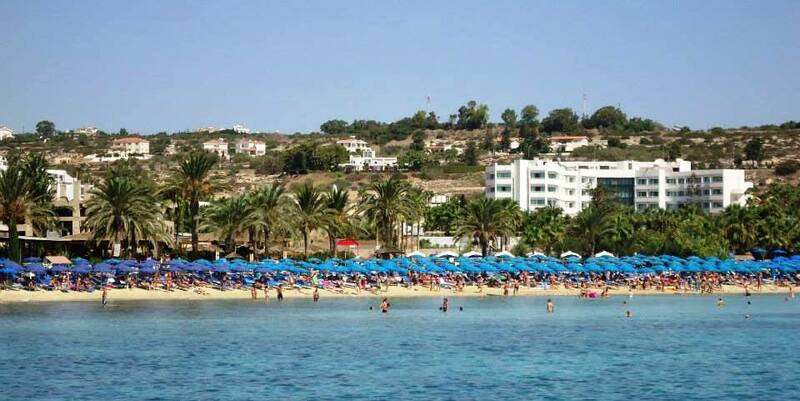 It is the closest beach to the centre of Ayia Napa and starts at the harbour. 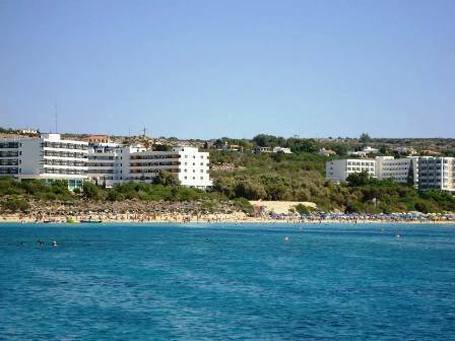 The beach stretches eastwards towards the Ayia Napa sea caves and is one long sweep of fine golden sand. The hotels than line the beach are mostly 4 and 5 star properties, some have their own section of beach roped off for their clients. 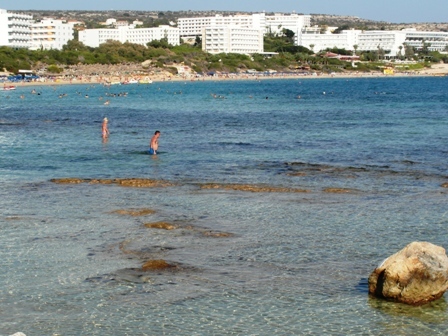 This beach is not as trendy as Nissi Beach and does not have the beach parties that the more popular beach has, however it is still very busy throughout the summer with a mix of all ages and nationalities, plus it is a lot closer to the town centre making it more convenient to get to for most people. The beach has watersports, a selection of places to eat and get refreshments and gently shelves making it safe for families. The end nearest the harbour is slightly rocky underfoot.